Saw this in today's paper. HARRISBURG — Gov. Tom Corbett said Friday he would consider a radio-show caller’s suggestion that gun shows be banned on publicly owned property. The caller on WITF’s “Smart Talk” radio show asked Corbett why gun shows are allowed at the Pennsylvania Farm Show Complex in Harrisburg and, in light of the school shooting in Newtown, Conn., whether he’d support a ban. Corbett responded that no one had ever suggested the idea to him before. “It’s a good thing to raise and I will give a thought to it,” he said. But he added that the Farm Show Complex is open to all businesses. He also noted that prospective buyers at gun shows must be cleared through the Pennsylvania State Police instant background check system – just as they are when buying weapons from gun shops. Quote: The Associated Press reported that Gov. Tom Corbett is considering a ban on any gun shows on public property, but it appears to be a case of the press creating a story where there otherwise is none. Considering that the Governor recently made clear that gun bans are not on the table for the Commonwealth under his administration, this struck me as extremely odd. This seemed especially out-of-character because gun shows aren’t typically the target of anti-gun groups here in Pennsylvania, so it’s not an issue he is pressured on politically. Well, either way, at least he isn't for banning gun shows - to any extent... yet. rmagill;63143 Wrote: Well, either way, at least he isn't for banning gun shows - to any extent... yet. 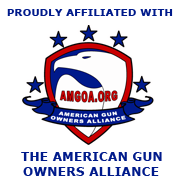 Phillygunguy, proud to be a member of pa2a.org since Dec 2012. Normanvin;62964 Wrote: Saw this in today's paper. I suppose he gave the expedient answer though. I saw this mentioned on Shall Not Be Questioned the other day. There is a link inside the article to the recording although I haven't listened to it yet. It looks like the link to PA Guns Rights is a copy of what was said at Shall Not be Questioned. Gov. Tom Corbett is standing by a policy that allows gun shows to be held at the Pennsylvania Farm Show Complex. Spokeswoman Janet Kelley said today that Corbett considered a recent suggestion by a radio talk-show caller that gun shows be banned on publicly owned property.